It is an illness caused by a tiny, living thing called a virus. Although more than 200 different viruses can cause a cold, but 30-50% are caused by a group of rhinoviruses. The corona virus is responsible for about 20% of the cases, while the respiratory syncytial virus (RSV) & para-influenza virus cause 10% of colds. Almost all colds clear up in less than 2 weeks without compilation. Colds, sometimes called rhinovirus or corona virus infections, are the most common illness to strike any part of the body. It is estimated that the average person has more than 50 colds during a lifetime. Anyone can get a cold, although pre-school & grade school children catch them more frequently than adolescents & adults. Repeated exposure to viruses causing colds creates partial immunity. Although colds resolve on their own without complications, they are a leading cause of visits to the doctor. Treating symptoms of the common cold has given rise to a multi-million dollar industry over-the-counter medications. Colds are diagnosed by observing a person’s symptoms. Nasal congestion, sneezing, a runny nose & coughing are all classic signs of a cold. In most cases, common colds go away on their own, and it is not necessary to make an appointment with your doctor or your child’s pediatrician for an evaluation & diagnosis. Sometimes, the common cold may develop into more serious complications, such as bronchitis or pneumonia. Ear infections are a common complication in children. 1. SINUSITIS: It is an infection of the small air-filled cavities inside the cheekbones & forehead. 2. MIDDLE EAR INFECTION (OTITIS MEDIA): It develops in an estimated 1 in every 5 children under the age of 5 with a cold. 3. CHEST INFECTION: A chest infection is an infection that affects your lungs, either in the larger airways or in the smaller air sacs. There is a build-up of pus & mucus. The airways become swollen, making it difficult to breathe. 4. ASTHMA ATTACK: It is the inflammation, swelling or the tightening of the muscles of the lining of airways which make it harder to breath. 5. STREP THROAT: It is caused by streptococcal bacteria that spread in the same way a cold does. You can get it from touching an infected person or surface from airborne particles when a person coughs or sneezes or from sharing infected items with an infected person. 6. PNEUMONIA: This complication can be especially dangerous & sometimes deadly for people in high-risk groups. These groups include the young, the elderly & those with existing conditions. Therefore, it is important to see your doctor at the first sign of pneumonia symptoms. 8. BRONCHITIS: It is an inflammatory condition of the smallest airways in the lungs (bronchioles). This is a common but sometimes severe infection that is most commonly due to respiratory syncytial virus (RSV). 9. 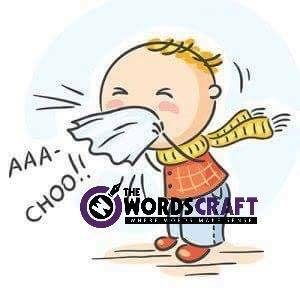 CROUP: It is a condition characterized by its harsh cough similar to that of a barking seal. Other symptoms include fever and a hoarse voice. Avoid touching your face, especially the nose, mouth & eye area. If your child has a cold, wash his or her toys as well when you are cleaning household surfaces & commonly-used items. Use paper towels in the kitchen & bathroom for drying hands after hand washing. Throw tissues away after use. Control stress, studies have shown that people experiencing emotional stress have weakened immune systems & are more likely to catch a cold than their calmer counterparts. I have been surfing online more than 4 hours today, yet I never found any interesting article like yours. It is pretty worth enough for me. In my view, if all web owners and bloggers made good content as you do. It’s an amazing paragraph in support of all the internet viewers; they will get advantage from it I am sure. Good day! I could have sworn I’ve visited this website before but after browsing through many of the articles I realized it’s new to me. Regardless, I’m certainly delighted I came across it and I’ll be bookmarking it and checking back frequently! yea sure i will extend it….